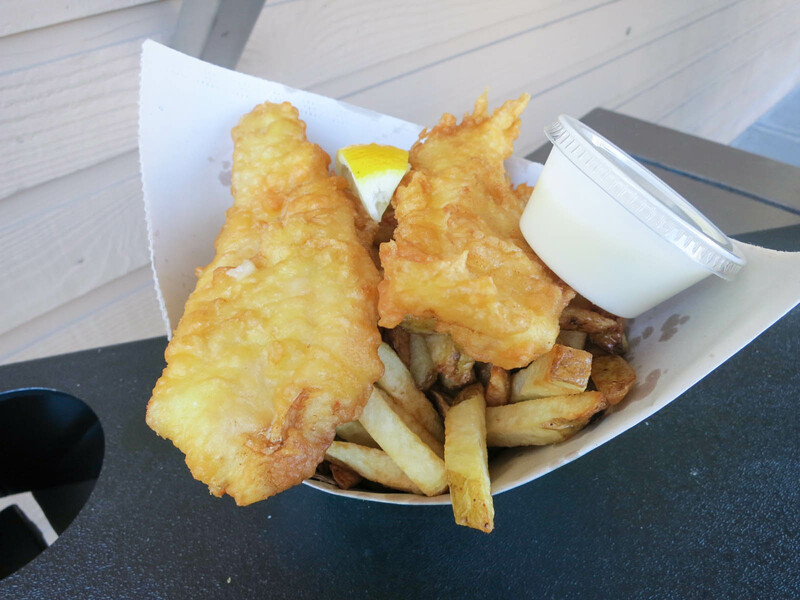 Pajo’s is a chain of fish and chip stands that has a few locations around Metro Vancouver. Their most popular location is in Steveston, but I recently discovered that they also have a location in Port Moody, which is much closer to where I live and work. I have never tried Pajo’s, and since it was a nice sunny day I decided to go see how it compares to my favourite fish and chips stand in Vancouver, Go Fish. I ordered the small cod and chips ($9.99), which comes with 1.5 pieces of fish and a big basket of fries. I had heard many good things about Pajo’s, so I had high expectations for my first experience. Unfortunately, I was completely underwhelmed by my whole meal. The fries were disgusting. I ate my meal immediately after receiving it, but the fries were cold, bland, and completely lacking texture. They probably should have been fried longer because they seemed barely cooked and old. I ended up throwing most of them out. The fish was also a big disappointment. With deep fried fish it is all about the batter and this batter was poorly executed. It was soggy, limp and falling off in certain spots. Pajo’s served me some of the worst fish and chips I can remember eating and I am shocked that this place is so popular. Maybe I hit them up on an off day, but I left feeling sad and gross from the greasy meal. No, their fish and chips are soggy and gross. I’ve had around 4 crappy experiences exactly like yours! Was there a line up? I was surprised at all the hype too. However on my last visit, I was lucky and my fish n’ chips were good LOL. Not worth lining up for the inconsistency tho! I love Pajo’s and must say that not all locations are equal. I have had disappointing meals at the Port Moody location too. My favourite is the one off the Steveston fishing docks. The fish is consistently fresh, maybe due to the high turnover. I also tried the gravy, onion rings and coleslaw, to my last meal (last weekend) which added variety to the meal. I always order halibut and chips, and my sister loves the salmon nuggets. I think it’s the ambience that I love. You’re surrounded by fishing vessels and people. It’s better than at Go Fish. I hope you’ll give them another chance.